We apologize by online registration has closed. However, there are limited seats remaining. If you would like to attend the conference please email jstrodtman@maglcc.org and he will be back in touch with you on seat availability. Thank you! The Mid-America Gay and Lesbian Chamber of Commerce would like to invite you to the third annual Business Equality Conference on Friday, October 10th from 10:30 am - 5:30 pm at Shook Hardy & Bacon, LLP. The theme of the 2014 Business Equality Conference is "A Force For Change". We look forward to the exploring policies and strategies that can take LGBT businesses and our allies to the next level. 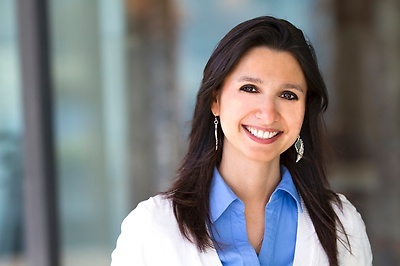 The keynote address will be given by Diana Kander, Attorney, Professor of Entrepreneurship at the University of Missouri and Senior Fellow at the Ewing Marion Kauffman Foundation. 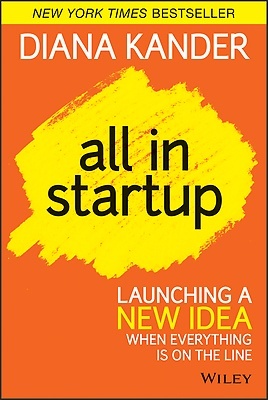 Kander is the author of All In Startup, a New York Times Bestselling novel outlining the lessons for launching successful products through a story of a struggling entrepreneur making his way through the World Series of Poker. Providing the Opening Message will be Buck Wimberly from Hallmark Cards, Inc. with his incredible story of authenticity in the workplace. We are excited to welcome a number of local, regional, and national leaders that will share their knowledge and experiences. Supplier Diversity and the NGLCC--presented by Natalie Rojas of the National Gay & Lesbian Chamber of Commerce and Mid-America GLCC Board President, Dan Nilsen. We are also excited to welcome a number of experts in their respective fields to the first ever B.E. Talks Series (Business Equality Talks), presented by Google Fiber. Kyle Piccola, Senior Field Organizer--Kansas City Region, P.R.O.M.O. Dr. William Self, Assistant Professor of Leadership & Organizational Behavior, University of Missouri--Kansas City. The conference will conclude with an opportunity to mingle, discuss, and network with other conference attendees prior to the October B2B Network which will also be held at Shook, Hardy, & Bacon LLP. The October B2B Network will be underwritten by Chairman's Plus Partner, flux forward. Mid-America GLCC Members may attend the conference for only $75 and Non-Members can attend for $125. Conference attendance is limited to 120 attendees, so it is important to register early to secure your spot! You can register by clicking on the blue "REGISTER NOW" button at the top of this page. The Mid-America GLCC is a proud affiliate of the National Gay and Lesbian Chamber of Commerce. Complimentary parking is available in the Shook, Hardy & Bacon garage via the entrance on the north side of SHB's building. Elevators are in the southwest corner of each floor in the parking garage. Access to SHB’s Office is on the “L” level of the garage.